The OSM is proud to possess a great orchestral organ. Purchase of that organ was made possible courtesy of Mrs. Jacqueline Desmarais, who assumed the total cost. The designation keeps alive the memory of the inimitable contribution made by Mr. Pierre Béique, founder and first general manager of the OSM, to the Orchestra’s mission of excellence. The Maison symphonique de Montréal organ, inaugurated on May 28, 2014, was manufactured by Casavant Frères on behalf of the OSM, and is the Orchestra’s property. It bears the opus number 3,900, corresponding to the 3,900th organ commission received by the house of Casavant since its founding. Its visual design was done in collaboration with architects Diamond Schmitt and Ædifica. The organ has four keyboards, 83 stops, 109 registers, 116 ranks and a total of 6,489 pipes. The pipes are handmade and are composed of lead and tin. The Grand Orgue Pierre-Béique comprises two consoles, one mechanical that is fixed to the base of the instrument, the other electrical and moveable. To consult the complete list of the Grand Orgue Pierre-Béique’s 83 stops, click here. For a better understanding of the various components of the Grand Orgue Pierre-Béique, click here. 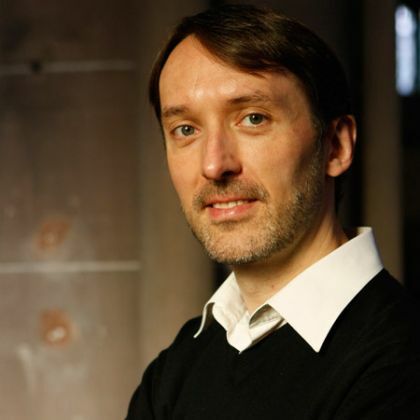 Olivier Latry is organist at Notre-Dame Cathedral in Paris and organ professor at the Paris Conservatory. His appointment to France’s premier cathedral in 1985 at the age of 23 propelled him onto the international scene: he has appeared in more than 50 countries and on all five continents as a recitalist or with orchestra. His extensive discography includes the complete organ works of Messiaen, the Poulenc Organ Concerto and Saint-Saëns Third Symphony with the Philadelphia Orchestra under Christoph Eschenbach. More recently he has recorded two CDs: a recital on an 1853 pedal piano from the Musée de la musique in Paris (works by Boëly, Schumann, Brahms, Alkan and Liszt), and the other devoted to his predecessors (Three Centuries of Organ Music at Notre-Dame de Paris). For his work in the field of organ performance and studies Olivier Latry was awarded the 2000 Prix Del Duca, as well as honorary fellowships from the North and Midlands School of Music (2006) and the Royal College of Organists (2007). He was named International Performer of the Year in 2009 by the American Guild of Organists in New York, and in 2010 received an honorary doctorate from McGill University. Olivier Latry has been organist emeritus at the Orchestre symphonique de Montréal since 2012. He took part in the inauguration concerts of Grand Orgue Pierre-Béique in 2014. Jean-Willy Kunz is the first organist in residence of the Orchestre symphonique de Montréal. In addition to playing both with the Orchestra and in recital, he sees to the development and showcasing of the OSM’s Grand Orgue Pierre-Béique installed at Maison symphonique de Montréal. He studied organ at the Lyon Conservatory with Louis Robilliard, at the Conservatoire de musique de Montréal with Mireille Lagacé and then at McGill University, where he earned a doctorate with John Grew. 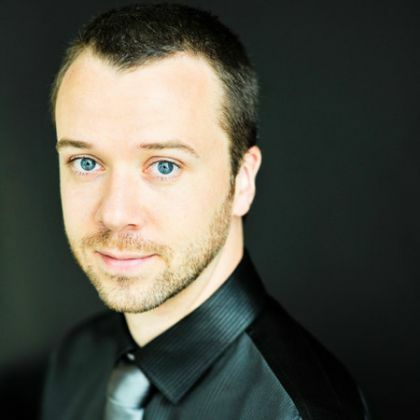 He has been a prize-winner at a number of organ competitions, including the “Grand Prix de Chartres” International Competition and the Canadian International Organ Competition in Montréal, where in 2011 he won third prize and the Richard-Bradshaw Audience Prize. Jean-Willy Kunz is organist and harpsichordist with Ensemble Caprice as well as organist with the Société de musique contemporaine du Québec. He recently performed with other groups such as the Studio de musique ancienne de Montréal and the Orchestre symphonique de Québec, as well as with the Cirque du Soleil, a jazz quintet, and singers such as Pierre Lapointe, Karen Young, Rufus and Martha Wainwright. His discography includes many recordings which reflect the broad range of his musical influences: traditional music of the Balkans for saxophones and organ; two masses by Théodore Dubois for chorus and organ; 20th century French music for harpsichord, flute and clarinet; Quebec song with Pierre Lapointe; baroque music with Ensemble Caprice; Christmas music with Marie-Josée Lord. He also recorded the original score for a number of short films. He has co-written a book on German organist Helmut Walcha as well as an article entitled “L’orgue et le regard de l’écoute” (Presses de l’Université de Montréal, 2014). In September 2015, Jean-Willy Kunz was appointed organ professor at the Conservatoire de musique de Montréal.